This position paper acknowledges that customer orientation is a key requirement for companies to be competitive in the marketplace. Customer orientation has led to concepts, such as personalization, one-to-one-marketing, mass customization and co-creation, which all strive for a strong alignment of individual customer demands and encounters with a company’s offerings. Despite the customer is increasingly regarded as an active partner, the overall perspective of customer orientation is still mainly provider-oriented. Adopting the perspective of customers, as argued in this position paper, would help recognizing that customer problems are often broader and more complex than the solutions of single providers. While intermediaries and, more recently, assistants based on artificial intelligence, have emerged to address this demand, their approaches are typically little transparent and follow a black-box paradigm. Using examples from multiple application domains, this position paper proposes elements that need to be addressed to overcome these shortcomings. The concept of customer-induced service orchestration and management shall empower customers to combine services from multiple service providers in order to address their problems in a transparent and white-box way. This approach could represent an important next step in customer orientation. Beverungen, D., Müller, O., Matzner, M., Mendling, J., & vom Brocke, J. (2019). Conceptualizing smart service systems. Electronic Markets, 29(1). https://doi.org/10.1007/s12525-017-0270-5 . Brun, A., & Karaosman, H. (2018). 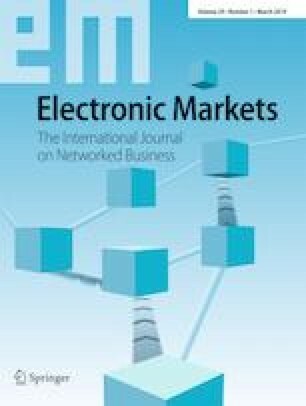 Customer influence on supply chain management strategies: An exploratory investigation in the yacht industry. Business Process Management Journal. https://doi.org/10.1108/BPMJ-05-2017-0133 . ISO (2015). ISO 14813-1:2015. Intelligent transport systems – Reference model architecture(s) for the ITS sector. https://www.iso.org/standard/57393.html. Accessed 15 Jan 2019. Sachse, S. (2018). Customer-centric service management - conceptualization and evaluation of consumer-induced service composition. Ph.D. Thesis, Leipzig University. http://nbn-resolving.de/urn:nbn:de:bsz:15-qucosa2-320862. Tseng, M. M., & Kiao, J. (2001). Mass customization. In: Salvendy, G. (Ed.). Handbook of industrial engineering, 3rd edition, (pp. 684–709). New York: Wiley. https://doi.org/10.1002/9780470172339.ch25. Tseng, M. M., & Piller, F. (2003). The customer centric enterprise. In: Tseng, M.M., & Piller, F. (Eds.). The customer centric enterprise - advances in mass customization and personalization (pp. 3–16). Berlin/Heidelberg: Springer. https://doi.org/10.1007/978-3-642-55460-5.